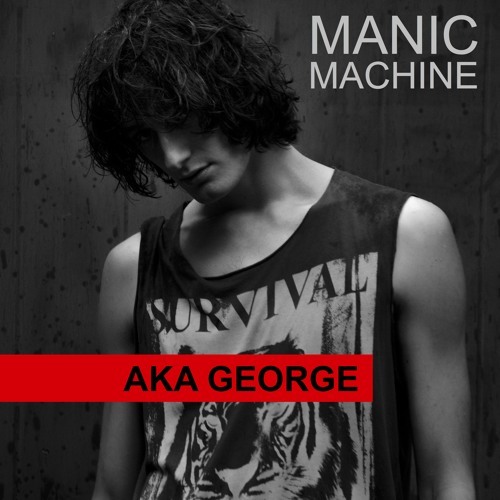 British artist AKA George has dropped his awesome new single Manic Machine. I got hooked to this song from the very first listen. This is an infectious electro-pop with a touch of punk track packed with tons of energy and attitude! Stream it below! AKA George's music has that punchy and grunge vibe making it sound super effortless and cool. Another great thing about George is that he plays all of his own instruments and produces everything himself! AKA George turned down the opportunity to work with Pharrell Williams and Nile Rodgers, a sentiment that lets the public know exactly what kind of artist he is. This is an artist who works at his own pace, an artist who knows exactly what he wants to create, and actualizes it himself. AKA George walked away from two record companies that were vying for his signature, showing that he is an artist with unfaltering integrity and an unwavering desire to create excellent music. Many up and coming artists would have clung to this celebrity endorsement, however AKA George has been keen not to rush the production and release of his music showing his integrity as an artist. He has impeccably high standards for himself, a quality that can be seen in his music. Manic Machine is set to be released on February 23rd, and if AKA George’s previous accomplishments are anything to go by, then things are about to get pretty crazy for this fiercely independent, music-centric artist.